Delisa Lynch made sure to clarify her remarks on Thursday. Well, we’ve come full circle. 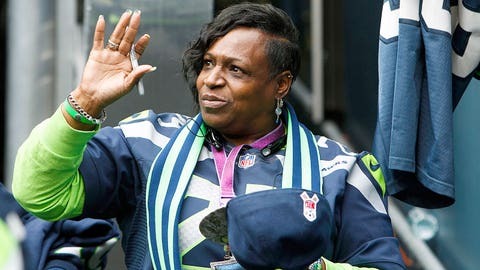 Delisa Lynch, the mother of Seattle Seahawks running back Marshawn Lynch, made news this week for a rant on Facebook. In case you didn’t remember, she called for offensive coordinator Darrell Bevell’s job after a questionable fourth-and-1 call resulted in the team’s overtime loss to the St. Louis Rams. Head coach Pete Carroll said he had no problem with a mother sticking up for her son. Then Bevell shrugged off the comments, saying criticism comes with the job. That should have been the end of it, right? Notice she never takes back what she said about Bevell, so presumably she still feels that he should be fired. OK, that’s her opinion and it’s a free country.